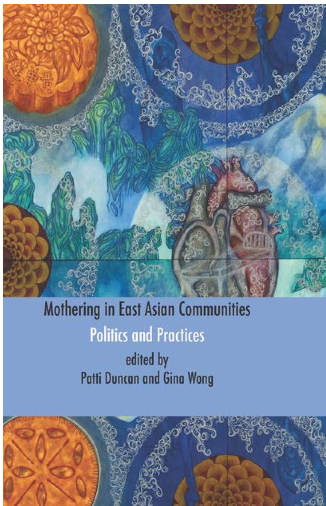 In Mothering in East Asian Communities, Duncan and Wong seamlessly rupture a homogenous identity category—that of the “tiger mom.” The editors invoke the works of diverse contributors who critically challenge essentialized identity categories and racialized and sexualized experiences of women of color within the institution of motherhood and practices of mothering. Here, the edited volume grapples with globalization, transnationalism, and capitalism with an East Asian ethno-racial-cultural context. Duncan and Wong offer a personal and political analysis of motherhood that is socially and culturally constructed, shaped by race, class, culture, sexuality, and other social categories. Patti Duncan is associate professor and Coordinator of Women, Gender, and Sexuality Studies at Oregon State University where she specializes in transnational feminisms, women of color feminisms, and feminist media studies. Gina Wong is a Registered Psychologist and associate professor in the Graduate Centre for Applied Psychology at Athabasca University in Alberta, Canada. Gina has a program of research focused on maternal mental health and wellness.